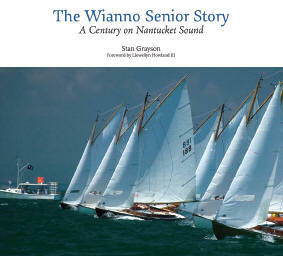 The Wianno Senior Story: A Century on Nantucket Sound will fascinate anyone interested in the history of American small-boat racing and of Cape Cod. 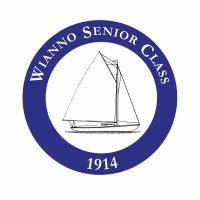 Designed and built by the Crosbys of Osterville, the Wianno Senior was first launched in 1914. With its centerboard and gaff rig, the boat soon proved perfectly adapted to the shallow, current-swept waters of Nantucket Sound. Now, a hundred years later,the Wianno Senior is still flourishing, among the longest-lived one-designs in America. Many are familiar with the boat because President John F. Kennedy owned one. But that’s just one aspect of this wide-ranging, centennial history. Here is the Wianno Senior seen through the eyes of a writer widely recognized for his devotion to the history of American yachting and small craft, his careful research, and his storytelling skills. The book is profusely illustrated with important historical images and the photographs of several of today’s most accomplished yachting photographers. The Wianno Senior Story will find a homeport on the bookshelf of anyone who appreciates beautiful boats, Cape Cod, and a tale well-told. Class Members, order yours today. They make great crew presents! Please support this major project from the Wianno Senior Class Association. Your purchase will help offset the sizable production costs of this very special book that commemorates 100 years of Wianno Senior sailing. $58.00 each, including Shipping and Handling to Continental US locations. 10 x 9, 264 pages, color and B&W.